It was an issue for those FSI motors from 2006-2008. I know THIS.. I had a 2007 GTI and yes.. I replaced the cam follower once at 30k... and it was in MUCH worse shape than that in the pic. I was stock. No owner should have to crack open a small hole in their motor every 25k to check the shape of a camshaft follower prior to warranty end.... It ain't like checkin your dipstick for oil levels. No offense to you all who have cam followers in your motor... cos I loved the FSI motor in my 2007. It had more high end rpm push than the TSI in my 2012, and that made the car more exhilarating. It is also a very robust motor. The reason noone has an "issue" with it in the R's is becuase of all us MK5'ers who came before you all and were made aware of this issue via all those blown motors... Why should my wife, my 75 yr old dad, or myself have to change an internal part to keep a vw FSI running smooth ??? Why isn't it a VW maintenance item listed in the owners manual?????? Why isn't it part of VW's carefree maintenance program at 30k miles??? Otherwise... I like the R. I'd have one in my garage right now if it came with a modern motor that didn't need me checking an internally lubricated part every 25k. Here's mine after 20k. Minimal wear. ya..can you even achieve max G's with your R??? .they stuck an FSI motor in there and just for kicks, gave ya undefeatable traction/ stab control so you can be slower around the cones at an autocross/ track than a new Accord. no modern VW gets near its lateral potential cos of their track-inhibiting /intrusive stab/ TC electronics. Last edited by stucky; 07-17-2013 at 06:43 PM. You act like I didn't drive a mk5 or something...and what rock have you been living under? traction control has been defeated many moons ago. How long did you run the HPFP for? That cam follow looks like you could do another 20k not sure though. Absolutely not. The black DLC coating is gone and friction and wear will go way up, and the cam lobe is going to get the worst of it. The cam follower is being replaced just in time. The only reason why they used the FSI engine in the R is because it was K04-ready. Vagcom can defeat all electrical nannies ensuring true R fun. oh I see. So stock it still has SC/ TC? The FSI was and still is a very robust engine. The reason the Cam follower wears so much is due mostly "because it cannot run in lean burn mode (US NOx regs), sooo... there is additional fuel in the oil. The high levels of sulfur/crap fuel in our US fuel damage the viscosity of the oil at a much higher rate, causing premature wear of the cam follower due to the oil losing its viscosity much faster then it would in Europe... where this FSI engine never had the cam follower issues. 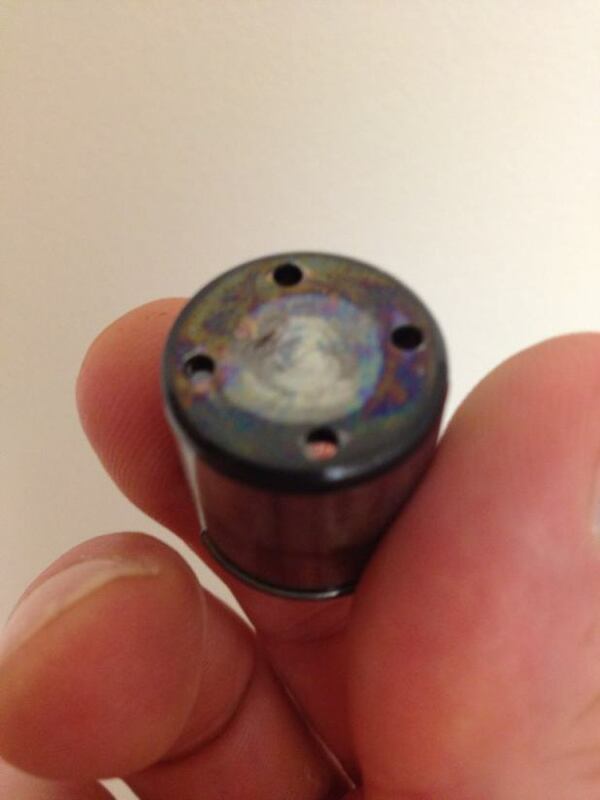 Cam follower failure is lubrication related, and cos the FSI was never allowed to run in "lean burn/ stratified" mode (like it does in Europe)... it destroys oil very very quickly, and as a result... destroys the black dlc coating on the follower within 15-20k miles. I did my research years ago. Last edited by stucky; 07-17-2013 at 10:25 PM. Its defeated in my 2012. The car mags you read know much less about these cars than the VW tuning community. The R community found the defeat and the solution was later discovered to apply to 2012/13 GTI's. on #2: I didn't realize. Thx for the correction.